The first U.S. shipment of crude oil to an overseas buyer departed a Texas port on Thursday, just weeks after a 40-year ban on most such exports was lifted. 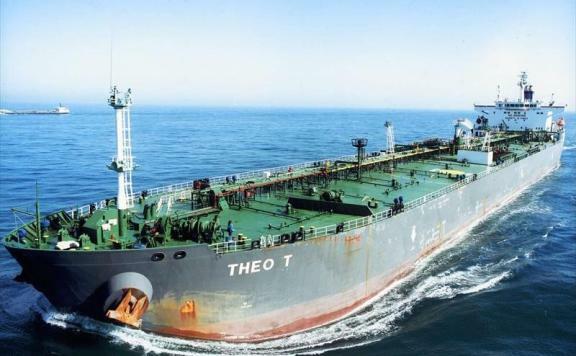 The Theo T tanker has left NuStar Energy LP’s dockside facility in Corpus Christi, Texas, along the western shore of the Gulf of Mexico, Mary Rose Brown, a spokeswoman for NuStar, said in an e-mail. The ship is carrying a cargo of oil and condensate to Italy from ConocoPhillips’s wells in south Texas that was sold to Swiss trading house Vitol Group. A campaign by oil explorers including Continental Resources Inc., Chevron Corp. and Exxon Mobil Corp. to lift the 1970s-era export prohibition culminated in a Dec. 18 congressional decision to end the ban. Vitol, which owns stakes in refineries from northern Europe to Australia, has a second cargo of U.S.-sourced crude scheduled to depart a Houston port within days.